When you notice diarrhea symptoms of your dog, you should never neglect it and you want to get some sort of dog diarrhea treatment. Many different factors can cause this to happen. And a dog diarrhea treatment can truly help. Some of these are intestinal tract diseases, toxins, inflammation, parasites and infections are some of them. Diarrhea has the ability to create a negative impact on the overall health and well being of your dog. That’s because diarrhea has the ability to cause blood circulatory problems or depleted blood. If you don’t take necessary steps to treat your dog, it can even lead your pet towards death. After noticing the diarrhea symptoms in your dog, you don’t need to worry about anything. That’s because a variety of home remedies are available for you to treat diarrhea in your dog. Bullyade holds a prominent place out of them. 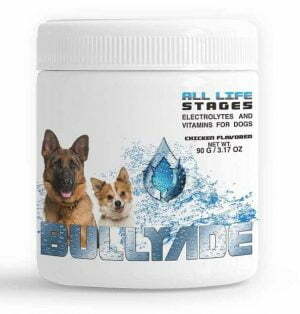 Bullyade can simply be defined as a hydration supplement available for dogs. As you already know, diarrhea has the ability to lead your dog towards dehydration. Bullyade is in a position to keep your loved one away from dehydration. As a result, you will be able to keep your dog away from the negative effects of diarrhea. 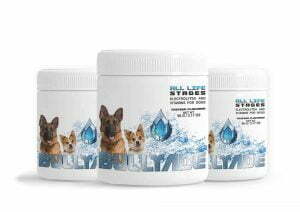 Bullyade is packed full of vitamins and electrolytes for dogs. They are responsible for delivering effective results to the dogs. In other words, Bullyade has the power to replenish electrolytes at a faster rate when compared to water. This is especially for as a parvo treatment for dogs. This can create an ideal environment for your dog to recover. Bullyade is not made out of any toxin ingredients and you don’t need to worry about anything before giving it to the pet. In other words, it is not in a position to lead the dog towards harmful side effects in the long run. Using Bullyade to treat diarrhea is much effective when compared to other types of home remedies. For example, Bullyade has the ability to deliver better results when compared to placing the dog on a 24 hour fast track and feeding your dog with a bland diet. Bullyade has specifically been designed to deliver quick results to your dog and help it to get rid of diarrhea symptoms. You don’t need to worry about anything when you are giving Bullyade to your dog. In fact, your dog would love to consume it. 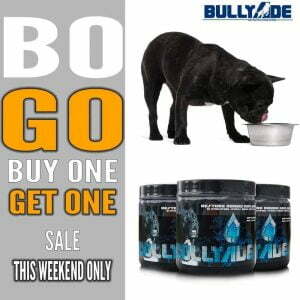 When you mix Bullyade with water, the flavor would be converted to chicken or beef. Therefore, your dog would drink it without complaining about anything. That’s because Bullyade offers a flavor that your dog simply cannot resist. Bullyade can help you to make your life easy while you are dealing with the frustrating diarrhea symptoms in your dog. You just need to mix a bit of this hydration drink to the water of your dog. It would then replace all the electrolytes eliminated from the body of your dog, due to diarrhea. Your dog is your best friend and it is your responsibility to take care of its health. Therefore, you can give Bullyade to your dog without keeping any doubts in mind.